I first heard this 3-part polka played by the wonderful Flowers and Frolics ceilidh band back in the 1970s. 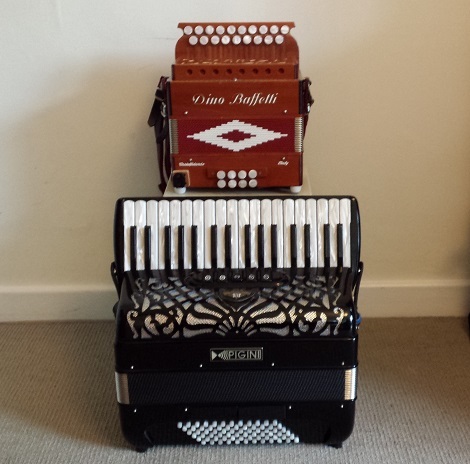 I had this piano accordion for sale back in 2012, and the purpose of the video was to demonstrate the different voices/sounds of the instrument. Primrose Polka is a three-part tune and I am using the following treble settings for 1st, 2nd and 3rd parts: M, MM, LMM. This is accompanied by the “light bass” setting first time through, and full bass reeds the second time through. The accordion’s couplers also allow L and LM treble settings.